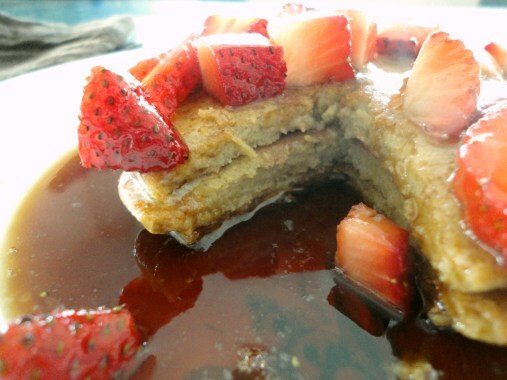 Green plantain pancakes are an enjoyable way to get all those goodies! 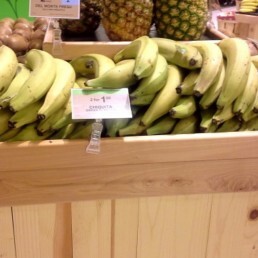 Don’t get turned away thinking about an unripe “banana”! Plantains and bananas are in the same family but are a different species and have a very different flavor. 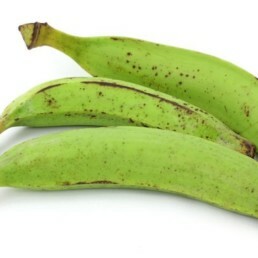 Green plantains are high in starch and low in sugar. 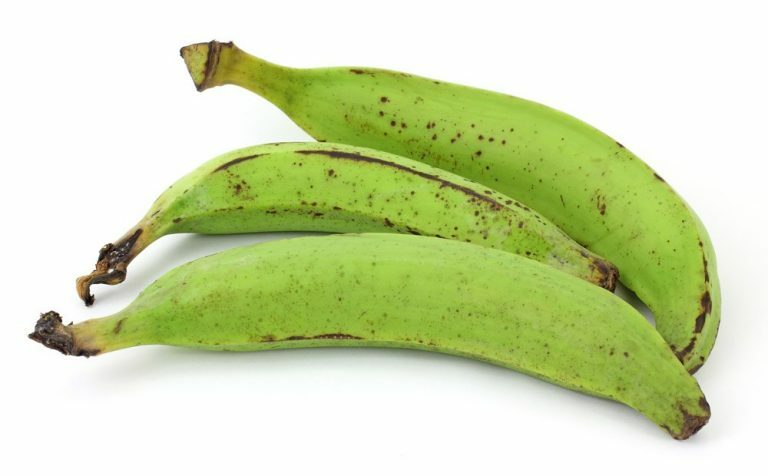 Green plantains are a resistant starch which means it is more resistant to digestion and lasts longer through the G.I. tract. Resistant starch is a source for pre-biotics in the gut which help promote healthy gut bacteria like pro-biotics. 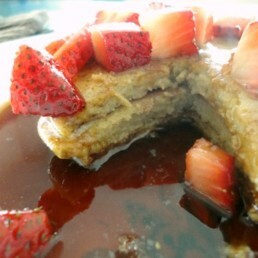 Green plantain pancakes are an enjoyable way to get all those goodies! Because of their high starch and low sugar, plantains are a low glycemic index food. The glycemic index helps estimate how much a particular food is likely to increase your blood sugar levels. Foods having scores of 55 or less are low on the glycemic index and unlikely to cause a large increase in blood sugar, and those foods having scores above 75 were more likely to cause spikes in blood sugar levels. Green plantains have a glycemic index of 40. 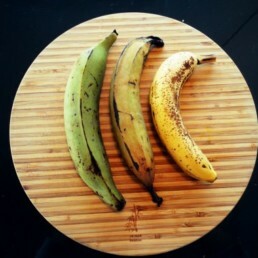 In this recipe, you want to use the green plantains. 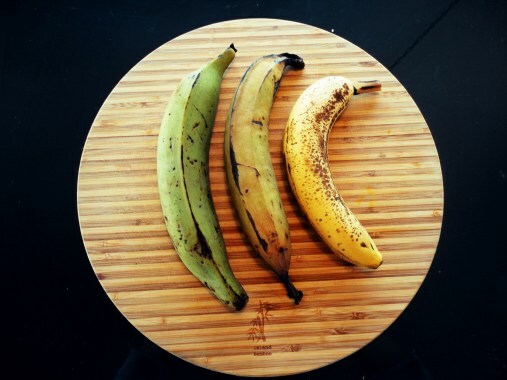 Below I have a picture of a green (unripe) plantain, a yellow (almost ripe) plantain, and a banana. The plantain becomes much sweeter and looses some of its resistant starch the riper it gets. So you will not get the same taste, consistency, or health benefits if you use a ripe plantain. 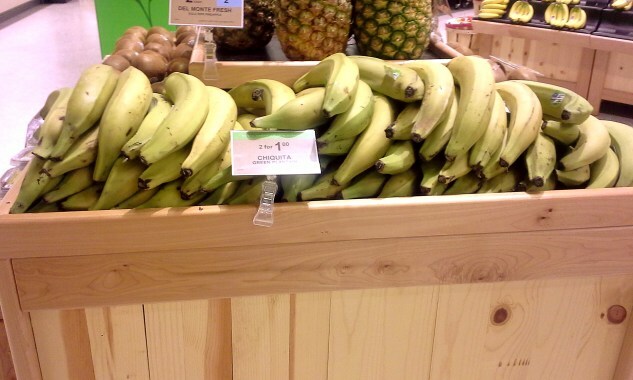 You can find plantains at large supermarkets or Hispanic markets. Plantains are usually sold under ripe with green-yellow skin—just what you’ll need for this recipe. If you want to make a sauteed sweet plantain recipe you can wait until the plantain ripens and gets a black-yellow skin. 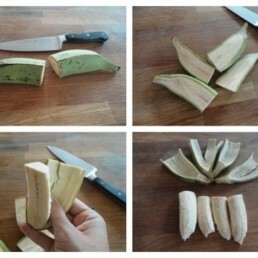 To peel an unripe plantain, cut and peel as pictured below. 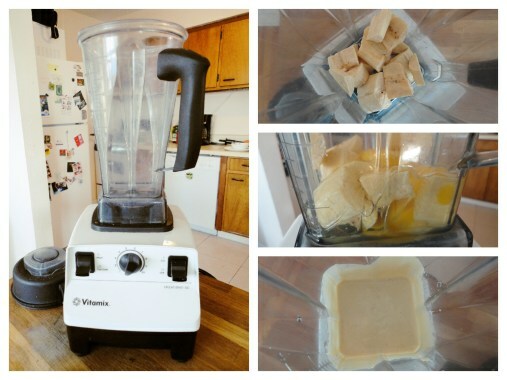 Once your green plantain is peeled put it into a high-powered blender. 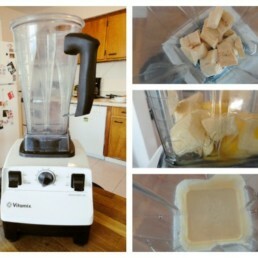 I used a Vitamix but you can use any blender that can liquefy. 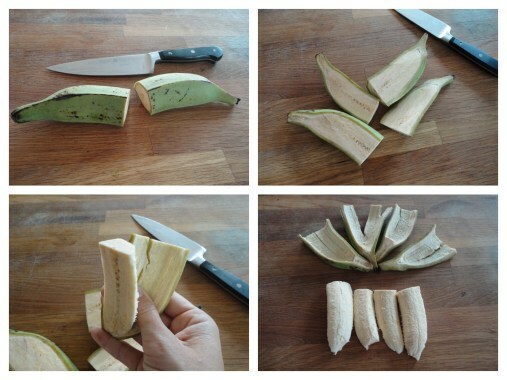 Break the plantain into smaller pieces with your hands so it will be easier to blend. 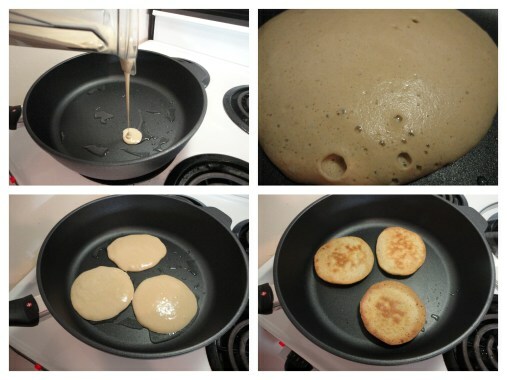 Then add the eggs and blend on low at first building to a high-speed for a minute or two until the mixture starts to thicken and look the consistency of pancake batter. Set the pan on a medium heat and add the oil of your choice. I used coconut oil. Pour the batter into the pan and let cook for around 5 minutes. Put a lid on at the beginning of the cooking process. 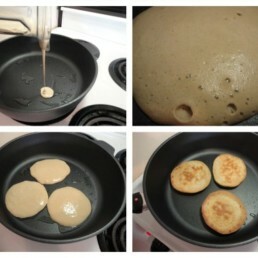 The pancakes will bubble just like normal pancakes but they will take a little longer to cook because of the starch content. You want them to be firm in the middle but not hard. Then flip when browned to your liking and cook for another 1-2 minutes on the other side. The green plantain pancakes don’t have much of a flavor when you make them plain, so they are a clean slate for whatever taste you like. Just plain full fat grass-fed butter is great or add some honey or syrup. If you like them sweeter you could add vanilla to the batter. 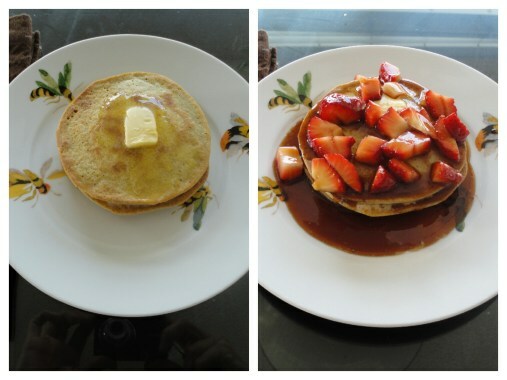 You could add cut up fruit to the batter as well. If you like them more salty spread some peanut butter on them. You can add baking soda and make them more fluffy. You can also add protein powder and make them a high protein meal. 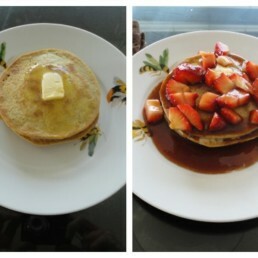 I added a strawberry honey balsamic vinegar mix. Doctor them up however you like and enjoy!